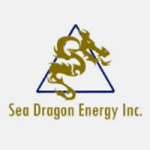 Sea Dragon Energy (SDX) operate in the established Egyptian market and have been in business since 2006. Originally, they had offices in Cairo, Paris and Calgary. In 2012 the company took the decision to consolidate its operations and to move its Head Office to London and to expand its operations office Cairo. The closure of the Canadian office was decided upon due to the physical distance between Calgary and Cairo as well as the time difference (8 hours). London was chosen as the best location for its head office due to its proximity to Cairo, its institutional investor base and its proximity to SDX’s partners. IT is core to Sea Dragon’s business as communication between the offices and to staff in the field is crucial. The oil and gas market has a specific requirement for specialist technical sub-surface mapping software, such as Kingdom, and needs the right IT infrastructure to support this. Technical and financial evaluation data also needs to be exchanged between Egypt and the UK on a frequent basis. Paul Welch previously worked with ACT during his time at Chariot Oil and Gas (still an ACT client). During his time with Chariot, Paul worked with ACT to move to a new office and so knew that they were capable of working with him on opening the new Sea Dragon London office. Paul involved ACT at an early stage in May 2012 when the decision had been taken to close the Sea Dragon HQ in Calgary and the office in Paris. In the summer of 2013, once the London office location was indentified, ACT undertook a site survey and put together proposals to consolidate the Paris office and Calgary HQ into one office in London. ACT provided all the new work stations, laptops, telecom and internet services for the London office and, in order to ensure the protection and security of all Sea Dragon’s complex data, the IT systems in Calgary and London were run on a parallel basis for three months until the Calgary office was formally closed. Upon the Calgary closure, the email exchange provider was migrated to the Cloud using Microsoft Exchange 365 for all remaining SDX staff in both London and Cairo. Sea Dragon always informs ACT at an early stage about any business plans which could impact on their IT systems. IT is critical for the smooth running of their business and is an important factor in their on-going success.